Now available on the App Store ! 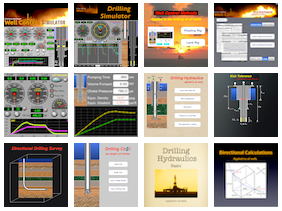 The Drilling Cost provides to the drillers, toolpushers, drilling engineers, students and other professionals in the petroleum industry a productivity tool helpful in drilling operation to calculate the drilling cost per length unit drilled, analysis of drill bit performance and to use in planning phase of oil wells. 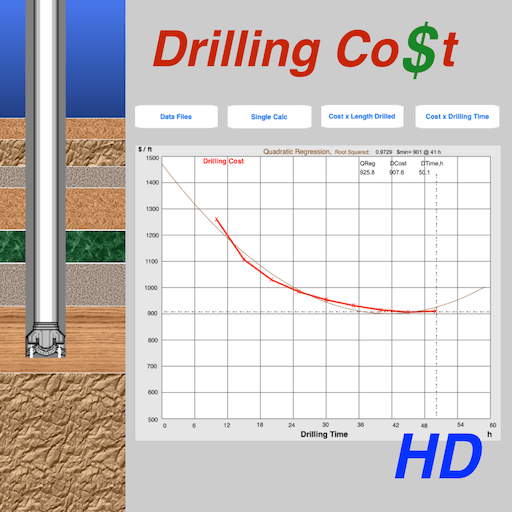 This application provides an advanced feature that is the modeling of data Drilling Cost vs. Drilling Time and also vs. Length Drilled using quadratic regression. The minimum point of the parable may correspond to the operation time of the drill bit, where will occur the minimum cost. The more the R squared is close to 1, the result will be better. The user can work with data files that must correspond to the drill bits used in each phase of drilling.